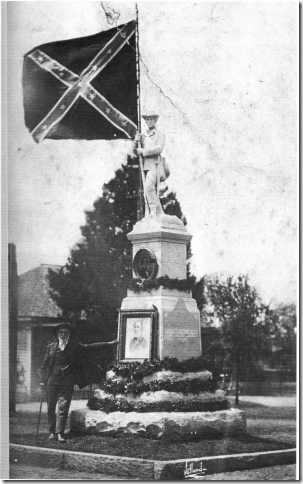 Forwarded by James King with permission by Ralph Mills to use in article about Albany Ga. Confederate monument/statue. 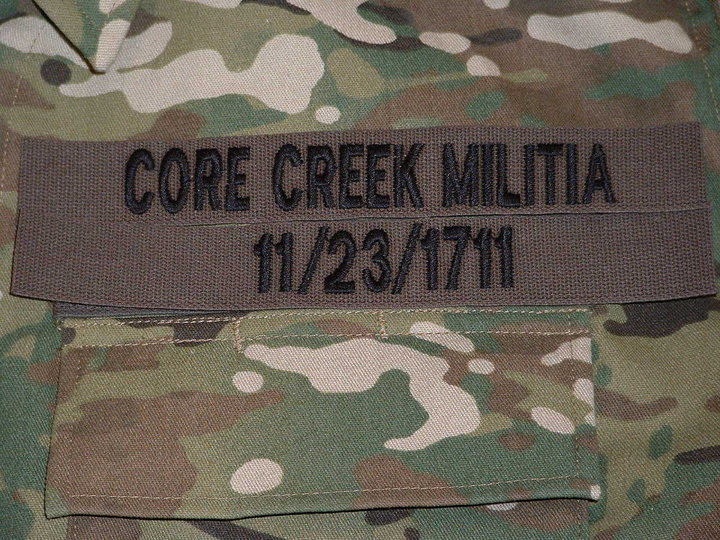 Ralph Mills is the Great-Great-Grandson of John G. LaRoque who was a Confederate Veteran in Company E (Albany) 4th Georgia. The man most responsible for raising funds for the Albany CSA monument/statue about 1900. This article by Mr. Mills is on the inside of the back page of the current issue of the Georgia Confederate Newspaper. As a number of Southern governors, big city mayors, educators, and even some administrators of the Southern Baptist Convention (SBC) rapidly distance themselves from a Confederate past to fall in step with the doctrine of political correctness, there still remain a few small obstacles which must be cleared in order to rest in good conscience. What shall be done with the inconvenient facts hidden in the historical record that stand in contrast to the sanitizing and re-crafting of the national narrative? Do the members of this unlikely alliance mentioned above merely follow the mass of uninformed public opinion – led by those with an agenda of retaliation and the revision of history – or do they stop and consider the contrary and less popular facts concerning the defining event of our nation's development, the War Between the States (1861-1865)? The national narrative that has passed the test of modern day political correctness is that the Southern Confederacy was just fighting to defend the institution of slavery while the Union nobly fought to free those enslaved by that “rebellious” regime. If this were so, then why was slavery practiced and protected by federal law in no less than five Union states throughout the course of the war? 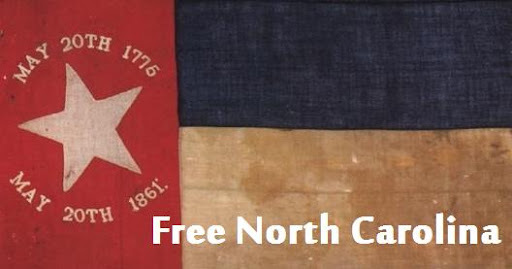 Why would the Northern states not free THEIR slaves if this were the motivation for invading the seceding states? And why, when gaining control of Southern territory during the war, did the Union armies not free the slaves of the occupied territory, rather than forcing them to labor on Union works? In fact, Union Gen. John C. Freemont's order freeing Missouri slaves was rapidly countermanded by Lincoln who then summarily sacked the general. Could it be that the true motive for the Northern states to invade their former Southern counterparts in 1861 was in truth derived from the very words of their president, Abraham Lincoln, when unequivocally stating that motive to be “the preservation of the Union” and NOT an interference with slavery? Indeed, no government emancipation of enslaved persons took place in the United States (North or South) until the Thirteenth Amendment was ratified on December 6, 1865, many months after the war ended. If the Confederate States of America were just fighting to defend slavery, then why, when offered the Corwin Amendment's perpetual right to own slaves in the United States, did the Southern states REJECT the offer? It was, after all, a guarantee from the federal government granting the right of slave states to carry on the practice FOREVER, if they would just remain in the Union. Over 90 percent of the Confederate rank and file were NOT slave-owners, and certainly did not suffer four years of deprivation, wounds, and even death so that their agricultural competitors with slave holdings could maintain their production advantage over them. And why did tens of thousands of black Southerners, both free and slave, fight honorably in the ranks of the Confederacy, even attending reunions with their white comrades-in-arms after the war? After all, the most influential “Father of the Civil Rights Movement,” Frederick Douglass, used this unpopular truth in persuading the Lincoln government to finally allow black soldiers into the ranks of the federal armies, segregated though they were. How can the creators of the p.c. version of the national narrative bequeath the Northern states the moral high ground while assigning the Southern states a place with the damned? And how can elected officials and so many others in roles of leadership be so easily duped? After all, the New England states built their shipping industry and much public infrastructure on the Triangular Slave Trade, hauling rum, human cargo, and sugar molasses on the three legs of the deplorable journey. They alone must shoulder that most dishonorable distinction, while New York City was the financial capital of the cotton kingdom, a major distributor of slave labor, and the home of the 1863 draft riots (which killed scores of blacks and set fire to the Colored Orphan Asylum). And radical Northern abolitionists pumped untold thousands of dollars and arms into the perverted cause of John Brown's attempted slave revolt for use in the indiscriminate murder of Southern men, women and children, while ignoring illegal shipments of the lucrative slave trade which slipped from their own home ports. But most condemnatory must be the dishonorable conduct of certain invading federal troops who literally raped, pillaged, murdered, and burned out the Southern populace, black and white, with the full knowledge and sometimes even under orders of their commanding officers. These despicable behaviors were repeated indiscriminately throughout the Southern states, and yet none of these officers was charged with war crimes, even those later admitting their complicity. In the Southern armies' rare incursions into Northern territory, no such atrocities were common among them. General Robert E. Lee even commanded payment to all noncombatants for any procurements made along the path of his command and strictly monitored the behaviors of his soldiers with active Provost Guards at many vulnerable properties along the march routes. Those allying with today's Confederate-haters loosely throw about the terms “treason” and “traitors” in reference to the Southern soldier, when in fact these are the perfect descriptors of the deranged terrorist murderer (and radical abolitionist icon), John Brown, who was tried in a Court of Law and found guilty of the very crime described. However, after the war when Union radicals desired the heads of Confederate leaders in retaliation for their prosecution of the war, Chief Justice Salmon P. Chase warned against such folly, fearing instead that the United States would be embarrassed by bringing Jefferson Davis and others to trial. Chase knew that these Southern leaders and their confederation of states had indeed broken no federal law, and the United States would be found culpable of indefensible actions against them. Over the decades following the war, U.S. presidents and Congress recognized Confederate soldiers as American veterans, with equivalent benefits and status to all other U.S. veterans. 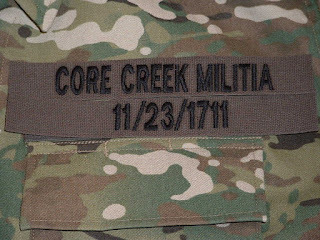 So how could any modern day revisionists be given credence in their requests to remove monuments, cemetery headstones, and memorial markers for these American veterans who fought so nobly in defense of their homes and for the hope of being an independent nation (like that won by their grandfathers in the War for American Independence)? Indeed, how can we stand by in silence as our American veterans are denigrated and covered with shame undeserved? Yet this is the case in today's politically correct world. In total disregard of inconvenient facts, the Confederate soldier's good name and memory have fallen victim to the radical adherents of political expediency and their actions of covering or ignoring these substantiated truths. And the founding fathers of our nation are the next in line to be targeted by p.c. radicals. Already several state Democratic Parties have removed the names of Thomas Jefferson and Andrew Jackson from their traditional annual “Jefferson-Jackson Day Dinner” for having had slaves in their service. So are the anti-Confederate politicians, educators and SBC elites able in good faith to continue to run blindly over the precipice of political correctness, and in the process permanently obscure the memory of our Confederate forebears from the face of the earth? Will they remain complicit in the complete defamation of America's Confederate veterans? The new Antifa are the old Nazis and Communists.